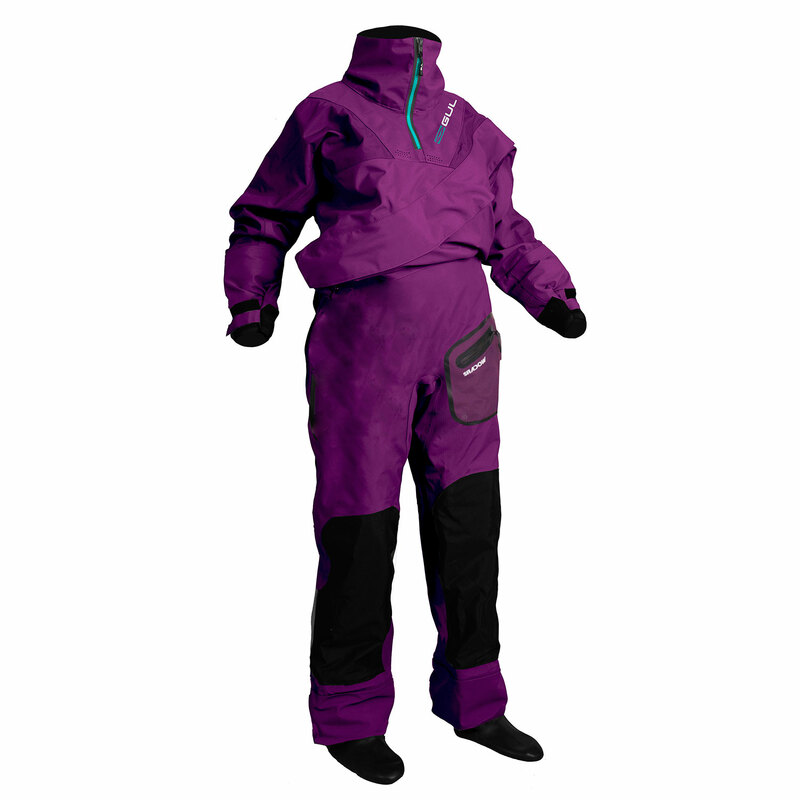 Gul Shadow Ladies Halo Zip Drysuit is part of Guls tough 4-layer waterproof fabric performance range. Fully taped, its high specifications provide full wet weather protection whilst remaining breathable. The perfect outer layer for performance watersports. Sizing info: Please keep in mind that drysuits do not need to fit like a glove. If they appear baggy then don't worry as your buoyancy aid will keep the top in, but also once you have put your drysuit on and zipped it up you should make yourself in to a ball and open the neck to let all the air out. Your suit will then cling to you and not be so baggy. The main think to make sure in a drysuit is that the drysuit doesnt go tight down your back when you kneel down or lean forwards.